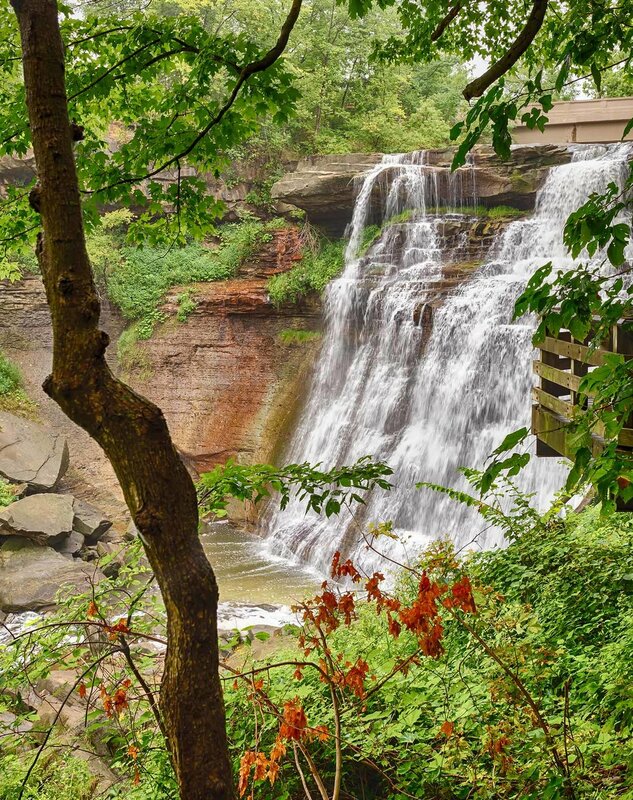 Well the second day of the photo adventures with James, "The Boy" and I started out at Brandywine Falls in the Cuyahoga Valley National Park and ended in downtown Akron. We dogged a few rain drops, but still managed to make some photographs. Here are a few of my photographs I made. Boardwalk leading down to Brandywine Falls in the Cuyahoga Valley National Park. Brandywine Falls located in the Cuyahoga Valley National Park. Water pouring over Lock 2 of the Ohio and Erie Canal in downtown Akron, Ohio. The second day of our photo adventures went by rather quick as James and "The Boy" had to continue on their journeys to their next stop of their adventures. We quickly concluded that we needed to schedule another day of adventures in the Cuyahoga Valley National Park this fall once the leaves turn to make some more photos. Thanks for viewing and feel free to leave comments below.